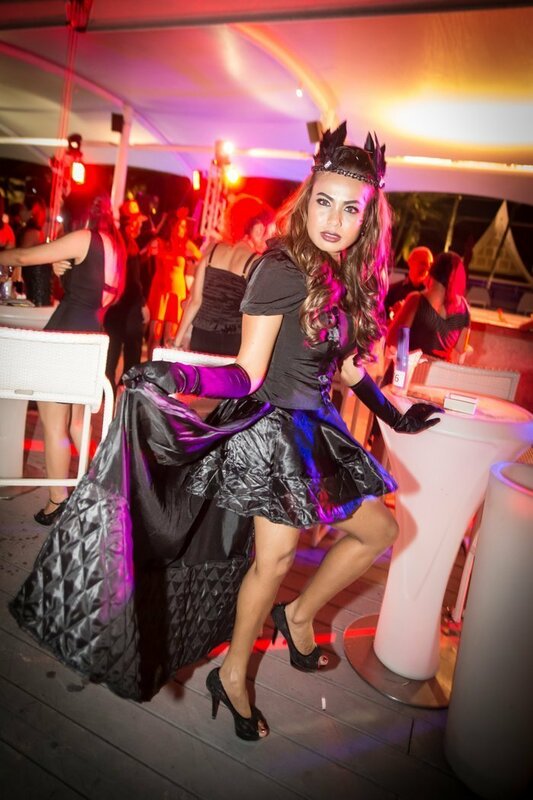 Thailand, October 2015 –Get ready to party and bring out the dark side within you as Xana Beach Club welcomes Halloween early with an exclusive ‘Demons & Angels’ themed party on Saturday, 31st October. 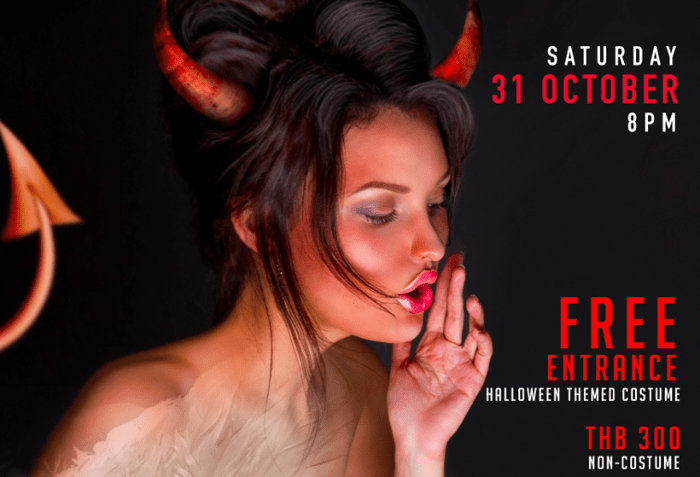 Beginning at 8pm with free admission, this frightful night will be jam-packed with highlights including thrilling performances by DJ Kraiz from Illuzion as well as a special prizes for the best costume. Enjoy the night with special offer of Johnnie Walker Gold Label promotion. Johnnie Walker Gold Label is one of the world’s most iconic whiskies. Showing flavours of maple syrup, spices and malt on the nose which is then followed by a dry smokiness and sweet creamy vanilla mouthfeel. The inherent richness evolves on the finish with raisiny, sweet sherry flavour. Our inspired bartenders will make you delighted cocktails based of Gold Label flavour. The evening starts with XANA’s Resident DJ WII born and raised in Bangkok, was exposed to house music since his early years, and inspired by many great names such as Norman Cook, Roger Sanchez, and the late Frankie Knuckles. He played in some of the coolest places in Yangon, Myanmar, and during his three years in Melbourne was the first Asian DJ given the opportunity to hit the decks at the famously known club Workshop.i warming up the decks. Followed by a spellbinding performance by DJ Kraiz, who is considered one of the best known DJs in Phuket . Kraiz has been mixing, remixing and creating music since 2001. Highly recognized as a fantastic performer with a unique, energetic stage presence and an amazing eclectic style. He played with many big artists and DJs all over the world : Genesis, Louie Vega, Paul Trouble Anderson, Jesse Garcia and many more. 1st prize will be a trip to Bangkok with two nights stay in marvellous Banyan Tree Bangkok including RT flight tickets. The 3rd prize winner will be “XANA Sunday Fun Brunch” for two. Reservations are recommended. For more information or table enquiries, visit www.xanabeachclub.com, email info@xanabeachclub.com or call 076 324 101.